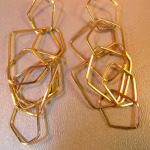 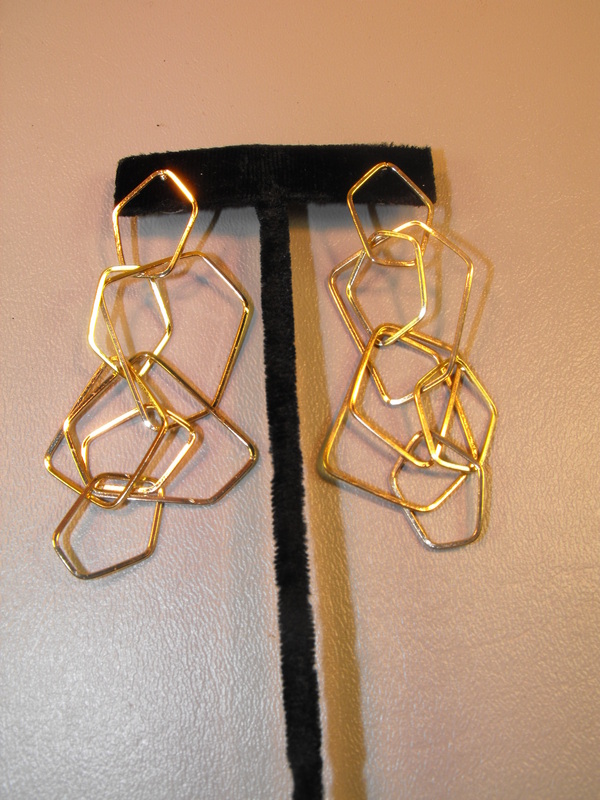 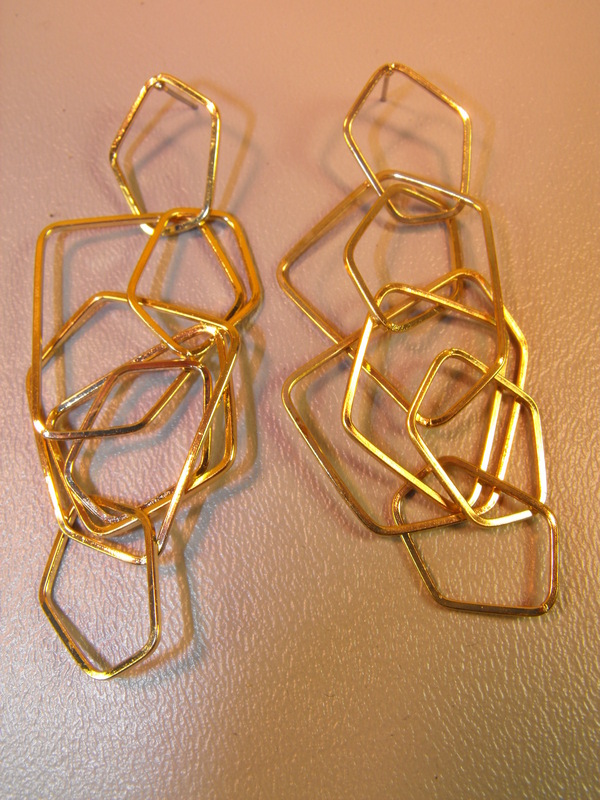 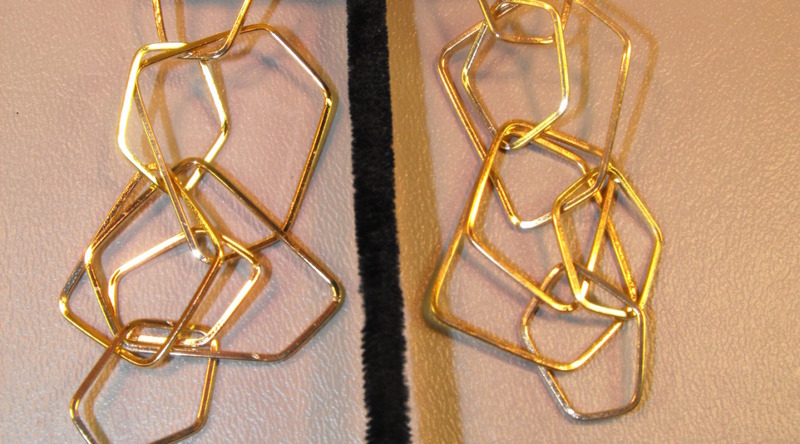 Here are a pair of gold tone very lightweight earrings in a random, modern, geometric pattern. 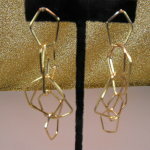 Very unusual and very unique, and unique is what we are all about. 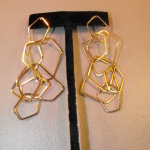 The pierced earrings measure about 3″ long. 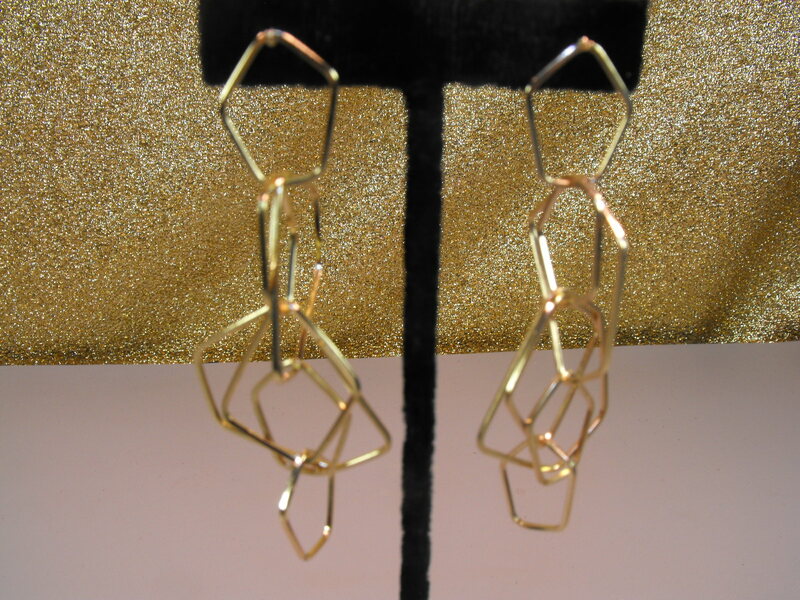 Create a unique statement.